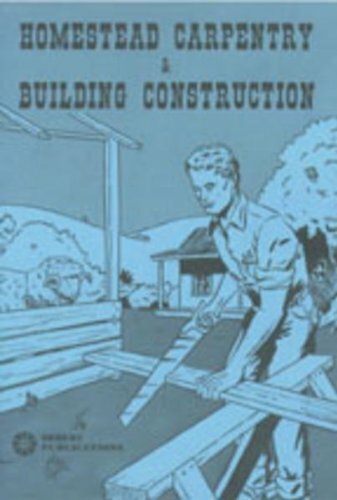 This book provides instruction in the basic techniques of carpentry and general building construction. 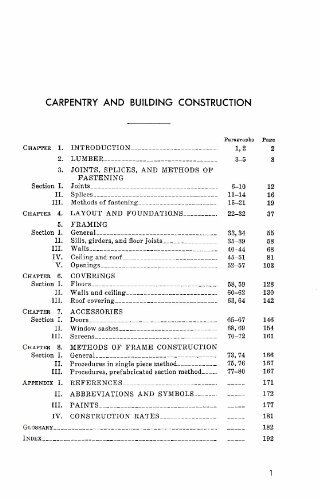 It is packed with simple and easy to understand methods of wood working and repairing techniques as well as the tools needed for the job. 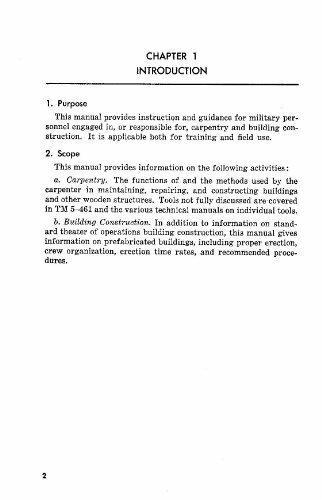 Information and pre-fabricated structures and building skills for erection and time lines on construction of certain style buildings and covers. 6.5  x 9  , 196 pages, illus., softcover.